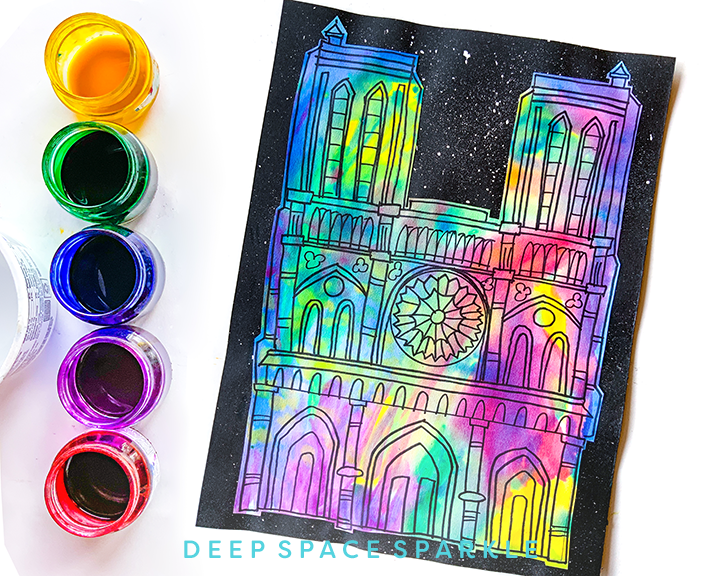 This is the fifth tutorial in our Series CONNECTING WITH THE ELEMENTS – How to teach the Elements & Principles of Art. This week I’m talking all about Movement & Rhythm. What is Rhythm and Movement and why is it important? MOVEMENT is the path the viewer’s eye takes through a work of art. 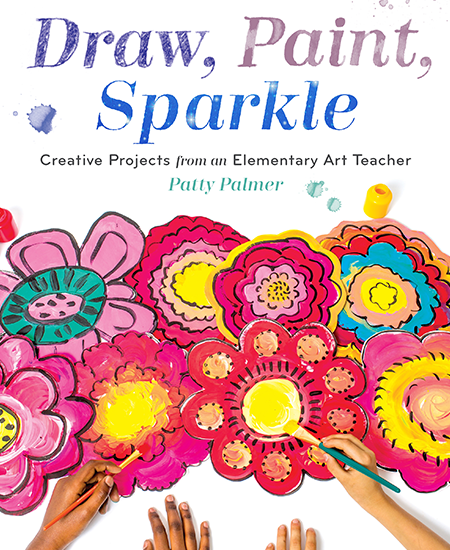 Movement can be directed along lines, edges, shapes and color. RHYTHM is created when one or more elements are used repeatedly to create a feeling of movement. Rhythm creates a mood like music or dancing. 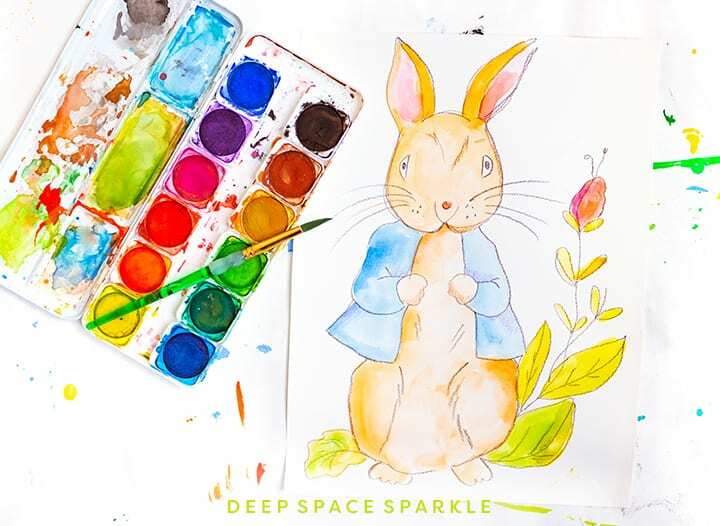 In our membership program, The Sparkler’s Club, we follow a path for teaching the Elements of Art & Principles of Design. So far in our series we’ve covered: Line & Pattern, Shape, Color, and Contrast & Emphasis. 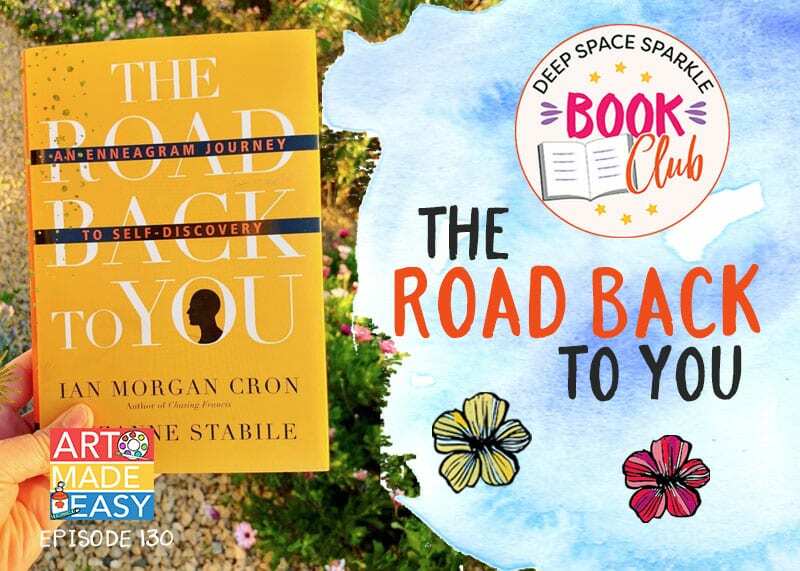 Scroll to the bottom of this post to click through to the series. 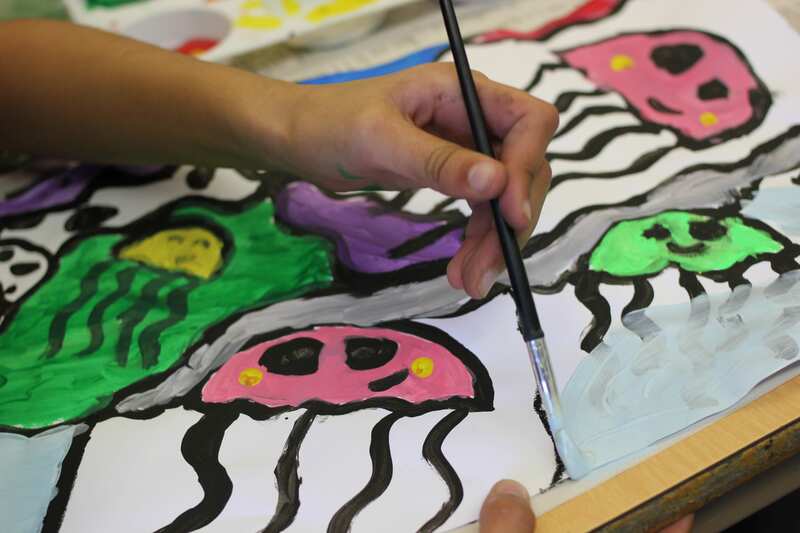 Younger students learn how to create a sense of movement and rhythm by painting the swirling lines in a Van Gogh painting or by drawing figures that show movement like in an art project from Degas or from a book like Giraffe’s Can’t Dance. Both examples show that a work of art isn’t meant to be static. 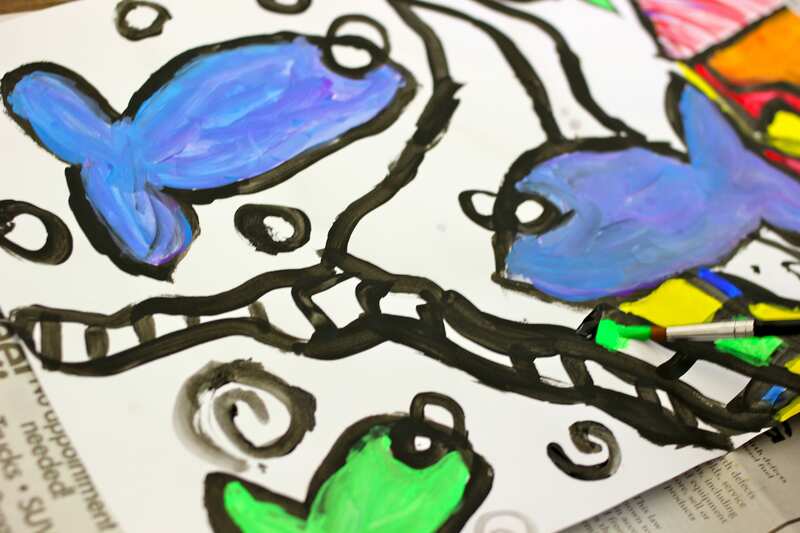 By creating these types of art projects, children begin to grasp the idea of using implied line to direct a viewer’s eye through the work of art achieving movement. Kinders: What type of lines create movement? First & Second Grade: How can I make a figure look like it’s moving? Or, how can I use line, shape or color to create movement? Third and Fourth Grade: How is repetition used with movement? Or, why is movement important in art? Fifth & Sixth Grade: What is the relationship between diagonal lines and movement? 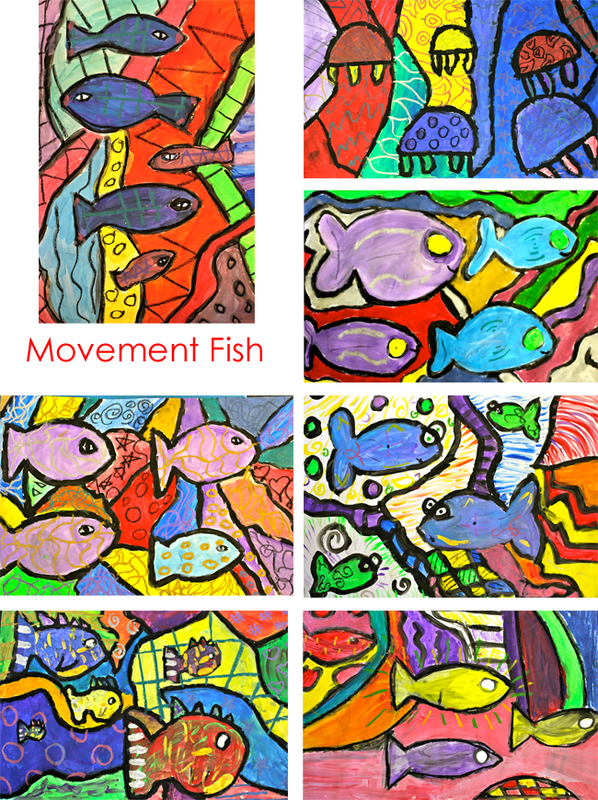 In this video, I share with my Facebook audience various art projects to use when teaching Movement & Rhythm to your students, as well as my favorite, Warm and Cool Movement Fish. * This video is also available to you if you’re a Sparkler in the Sparkler’s Club. 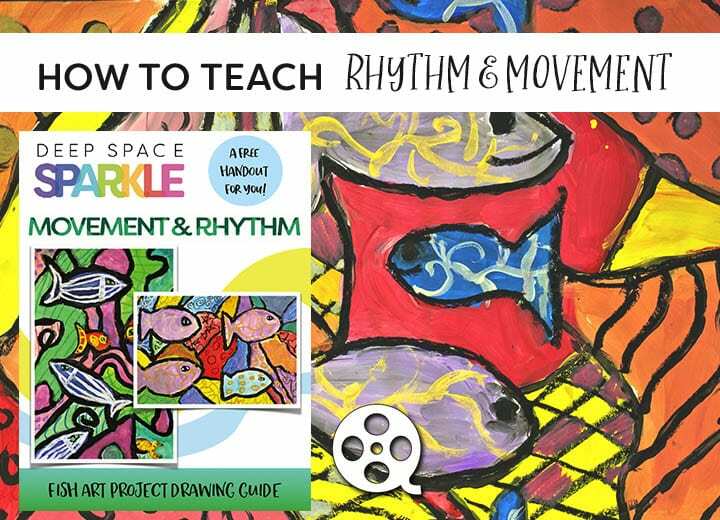 Click HERE for the link to the Movement & Rhythm EPIC Curriculum Bundle. 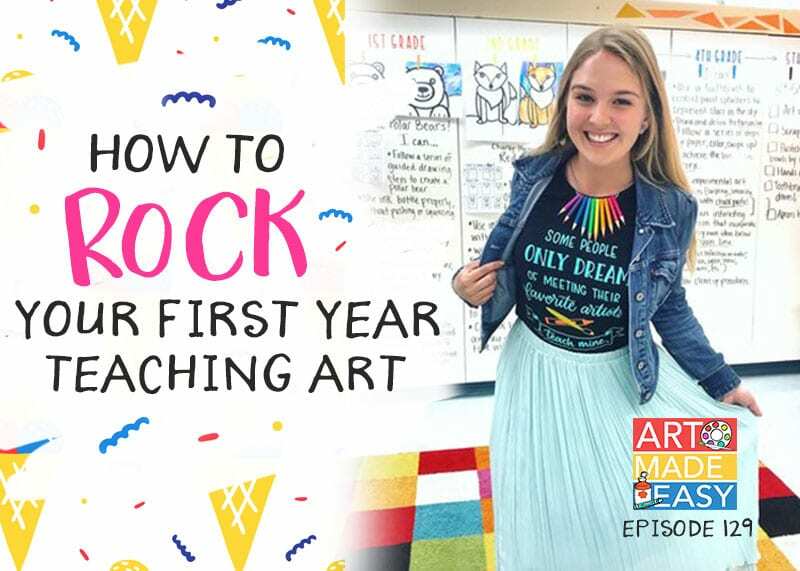 This lesson is based on a piece of art by artist Sandra Silberzweig. 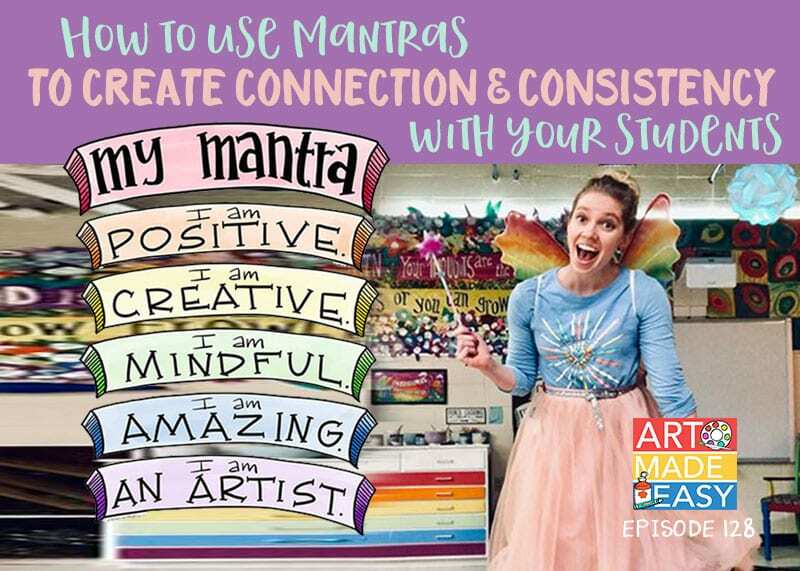 The art combines color, lines and patterns…a perfect example of covering many elements of art in one lesson. 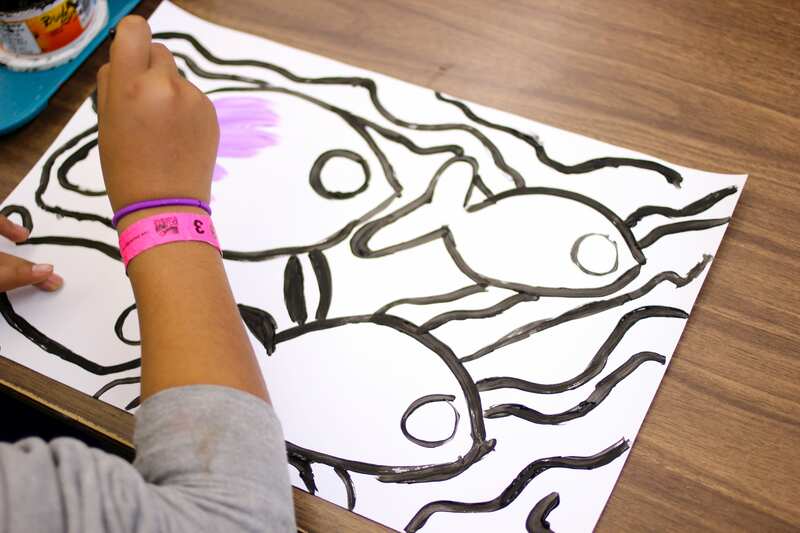 But for today’s focus on Movement & Rhythm, encourage your students to repeat the drawings of their fish to encourage the viewers eyes to travel down the paper. Drawing the design without the use of pencils is not a big deal for my students. 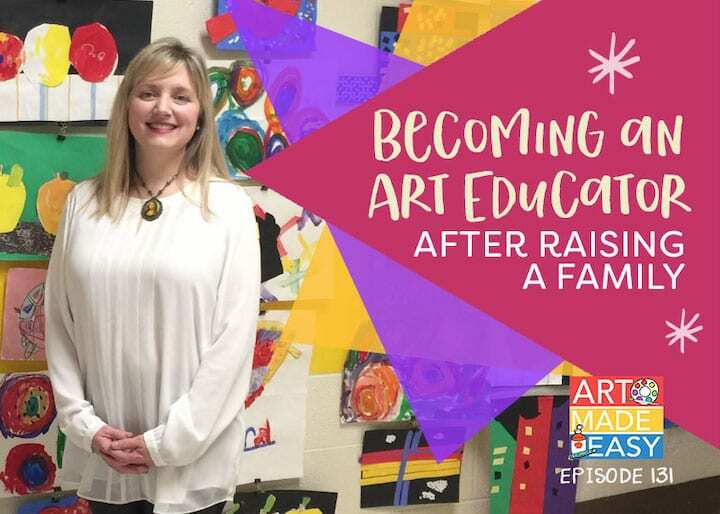 Starting in Kindergarten, they practiced drawing with a brush. 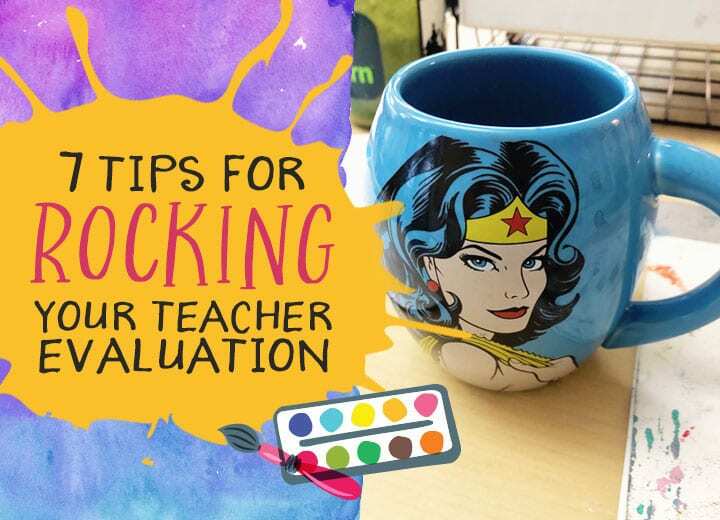 I feel it can be the most expressive of all the drawing tools, but if your students aren’t used to drawing with a brush, you can use a black oil pastel. Draw the fish first. I challenged my students to draw three large fish and three smaller fish. 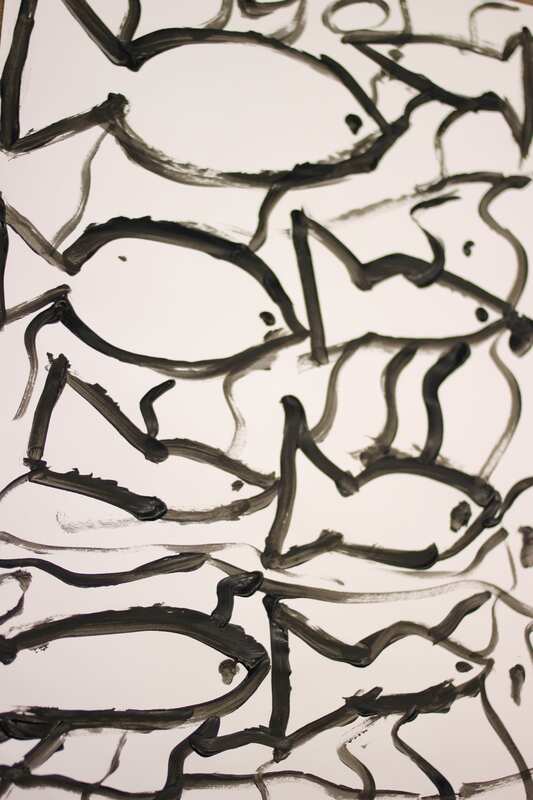 This proved to be somewhat difficult to control as some kids heard “fish” and drew many sized fish. Most were able to draw fish to the size that is easiest to paint. 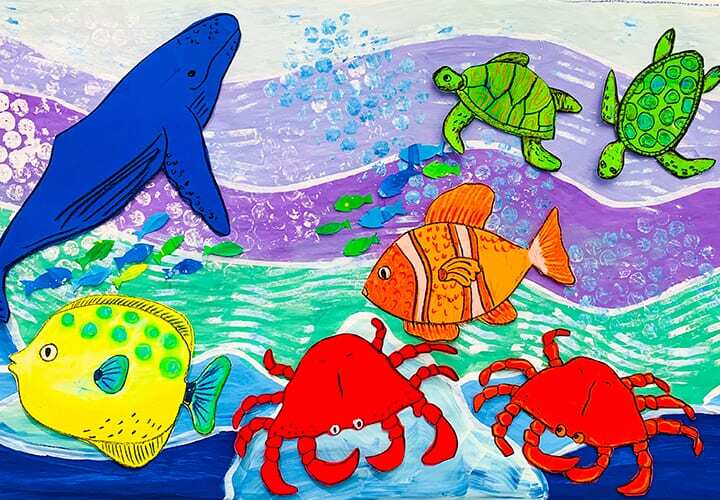 As I walked around and watched the children draw, I mentioned a few times that it’s difficult to paint lines, so all fins, tails and other protruding parts should be shapes. Even in fifth grade, this can be a hard concept to grasp, so be on the lookout for lines. Some of my students drew jelly fish after asking me if they can draw any fish…you can see where this is going. I said yes, but tentacles are lines and lines are hard to paint. We brainstormed how some tentacles could be turned into shapes. Painting in the swirly background comes easier to some children than others. I imposed some rules: lines must connect. This means that no line could have a dangling end. The goal is to achieve a shape with the lines. 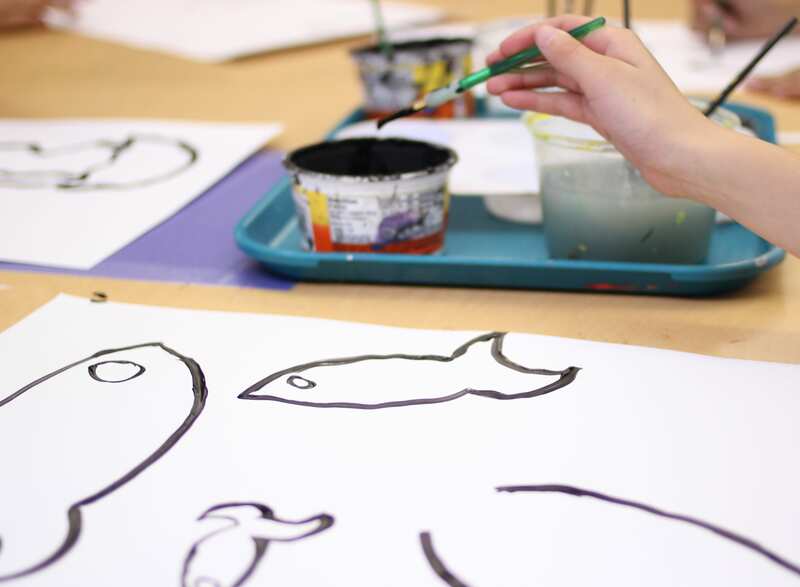 Painting the fish can take up to two, 50- minute classes. Sometimes smaller details require more time than larger paintings. The children used the double-loading technique that I am so fond of teaching. Double-loading is a time saver, too. 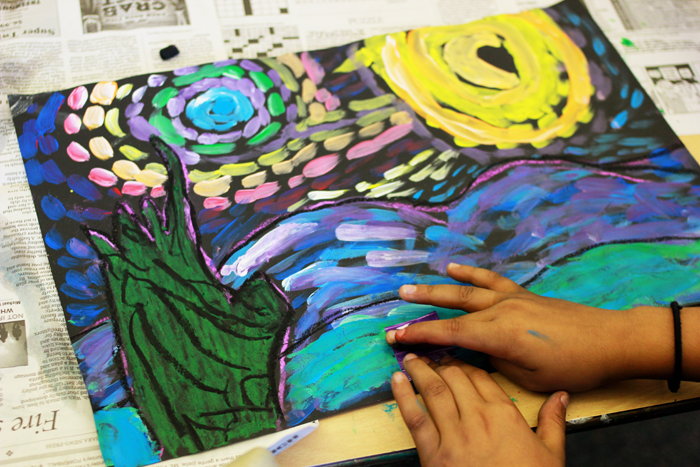 Children can become obsessed with creating the perfect tint and never finish the piece. 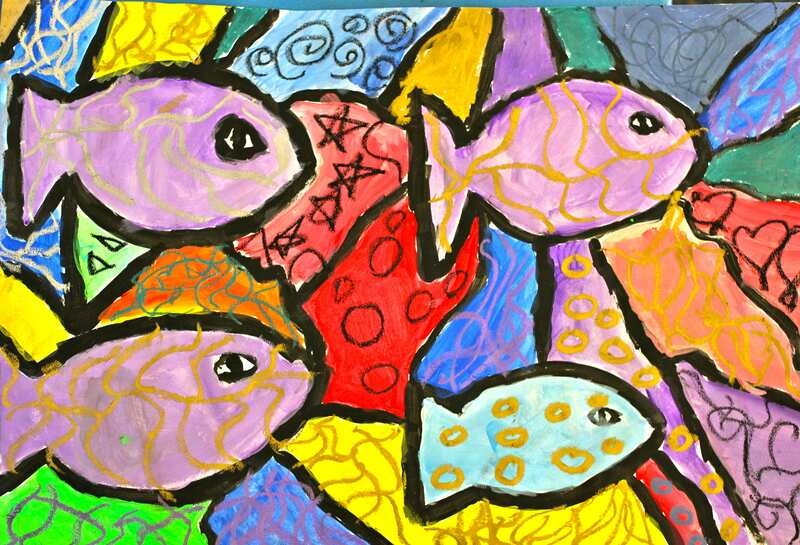 To help the fish “pop” from the sea of embellishments, I imposed the rules of three: paint the large 3 fish the same shapes and the smaller 3 fish the same shades. Did all the kids do this? No, of course not. But it is an important design concept: if the background is multi- colored, then the fish should have some consistent color in order for them to stand out.